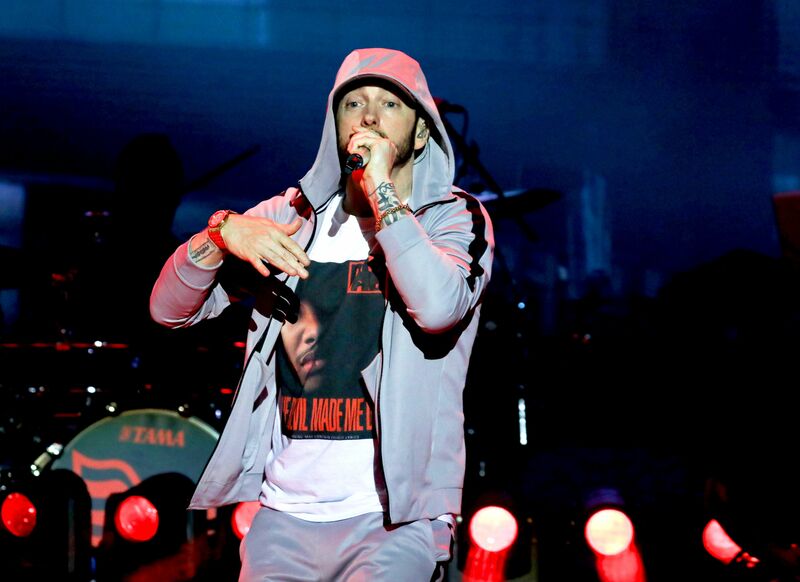 Eminem revealed the surprise album Kamikaze on Thursday at midnight. The LP contains a song from the Venom soundtrack he recorded before 1945 Kamikaze on Twitter The 13-song set follows in 2017 Revival with the songs "Framed", "River" with Ed Sheeran and "Walk on Water" with Beyoncé. Earlier this year he released a remix of the album track "Chloraseptic" with 2 Chainz and Phresher. 6. "Em Calls Paul Skit"
8. "Not Alike" with Royce 5 & # 39; 9 "